The Mindfulness course is offered in a variety of forms, both in organizations and corporations and also in open to the public. The course is also offered as One-on-One training. 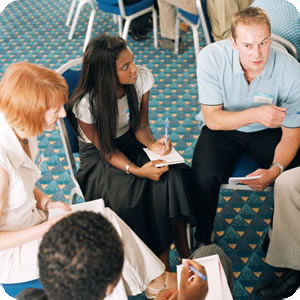 Regular group meetings in person or through the internet (in Swedish or English). CD with guided instructions (Swedish). Mindfulness manual with description of the weekly training (Swedish). Internet based Mindfulness training program (available in Swedish and English). The internet based training program in Mindfulness is also available for smart phones running on Iphone or Android (Swedish and English). For forthcoming Mindfulness courses open to the public, please see news. To arrange a course in your organization, corporation or private setting, please contact us for further discussions.